Above we see the recently closed, and rapidly deteriorating, Blowers Green Station in 1962 viewed from tunnel mouth (photo: Michael Mensing). 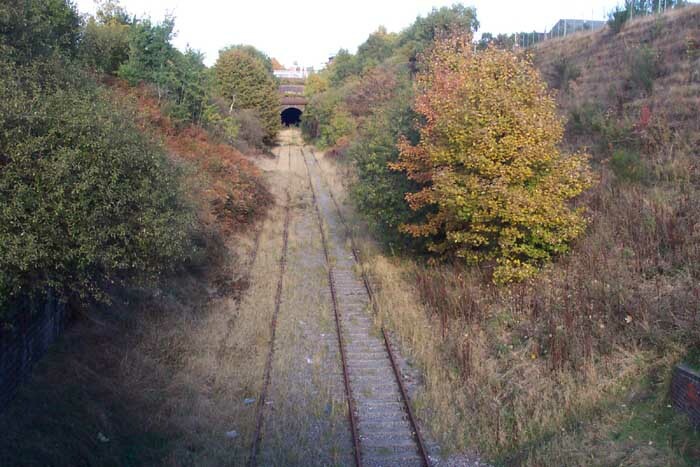 Sited on what was originally the Oxford, Worcester & Wolverhampton Railway's line, Blowers Green was opened by the GWR (who had incorporated the OWWR some 15 years earlier) as Dudley Southside & Netherton in 1878 and was the first station south from Dudley. 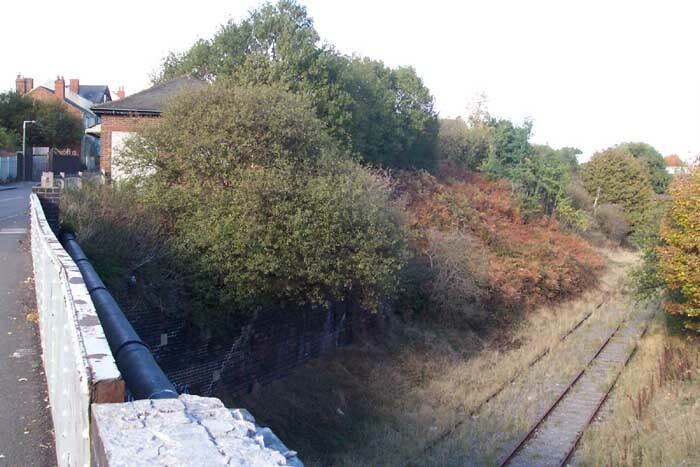 The opening of the station coincided with the opening of the 'Bumble Hole Line' to Old Hill which branched-off this line a couple of hundred yards south of this station. 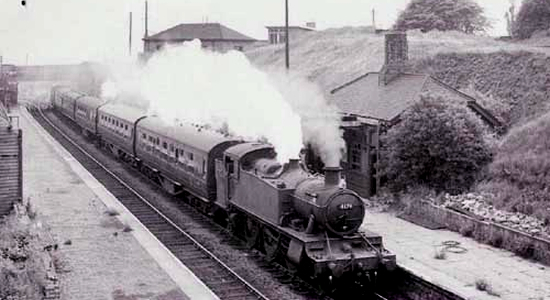 The station became Blowers Green in 1921 and remained such until closure in 1962, although trains from Dudley to Old Hill continued to pass through the site until 1964. 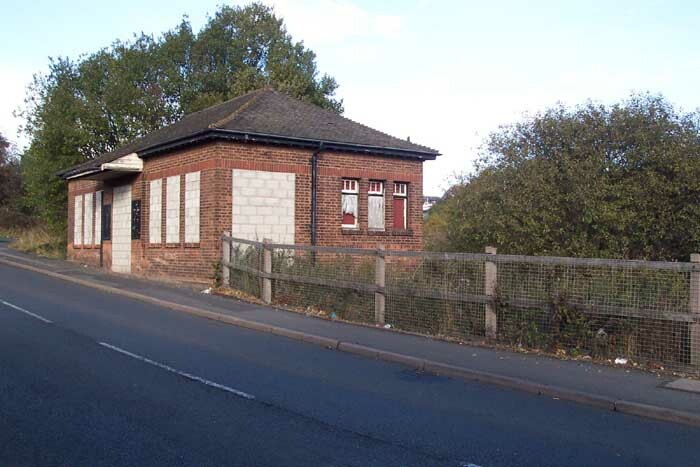 Above-left and right are shots of the booking hall which remains at the site today - although all traces of other buildings have disappeared - the back of which can be seen to the right of the New Road overbridge through the steam in the photograph at the top of this page. Considering it is now 41 years since its closure it is in excellent condition and worth a look at - even it's cannopy is in tact! It is possible to get around to the back of the building, however I wouldn't advise this as the stairwell connecting it to the platform level has long since been removed and the back of the building therefore has a narrow ledge at the edge of a steep drop to trackbed level. Above-left we are on the New Road overbridge looking towards the tunnel which led the track through to Dudley station. Blowers Green station itself sat in this spot between the junction with the Bumble Hole Line which is behind the photographer and the tunnel. 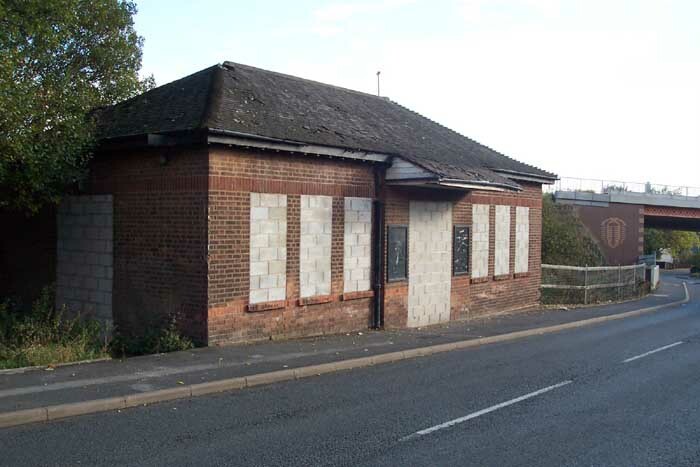 The station booking hall is to the left of the photographer and the embankment to the right has been increased in height with the building of the Dudley By-Pass. Above-right we are on the New Road bridge looking south. 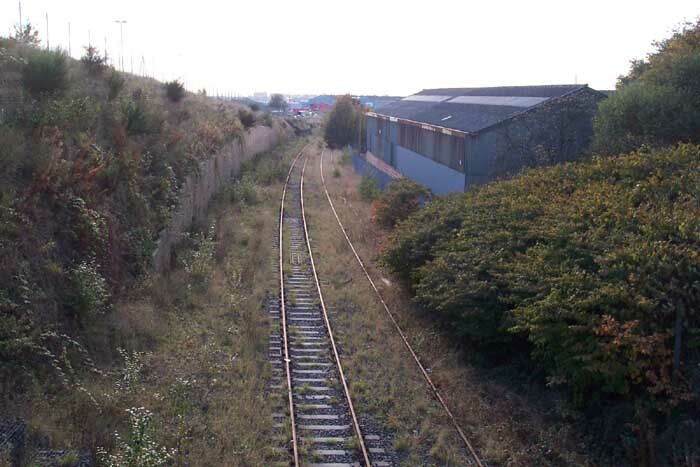 At the beginning of the fencing on the left of this shot was a signal box controlling the junction with the Bumble Hole Line which branched away double-tracked to the left just infront of that spot. Unfortunately, the construction of the Dudley By-Pass has completely obliterated all traces of the junction and trackbed at this point. I have included the above photograph for perspective purposes. I am again on the New Road overbridge with the Dudley By-Pass directly behind me, the junction with the line to Old Hill to my left, the tunnel to Dudley to the right and the station building ahead.